The NEW book by bestselling author Tony Rubleski arrives on 9/4/18. Get your pre-order copy today. Foreword by Dave Liniger, Co-Founder and Chairman of RE/MAX, LLC. The Anniversary Edition of the Third Mind Capture book has arrived… Order your SIGNED COPY today and pick up two special Thank You Gifts! “Thank you for delivering your two dynamic presentations to our members at our recent PPPC National Convention in Toronto. Your energy, passion, and enthusiasm were contagious. You helped our members focus on the need to grow their business and achieve peak performance. It was refreshing, credible, thought-provoking and you really captured us! 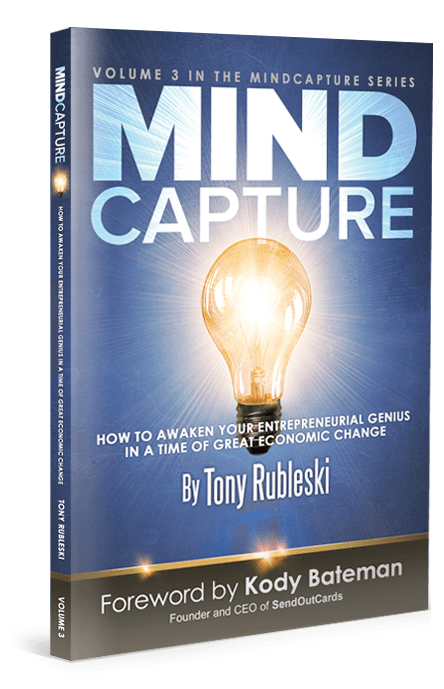 Tony Rubleski is the bestselling creator of the Mind Capture book series. He is also an in-demand keynote speaker, strategic business coach, and global event promoter. His work has been featured in various media outlets ranging from Bottom Line Magazine, The Detroit Free Press, the FOX TV network, ABC, to CNN Radio, NPR and Entrepreneur Magazine Radio. He’s a 1994 graduate of Western Michigan University with a degree in marketing and has also been a faculty member and instructor with the U.S Chamber of Commerce (IOM) and CEO Space International. His core expertise and message is designed to help people ‘Capture’ more minds and profits. 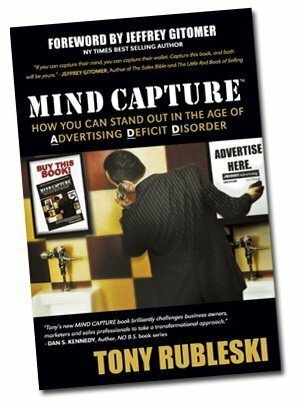 As editor and creator of A Captured Mind newsletter he has interviewed some of the highest paid direct marketing, Internet, success and sales minds in the world including Seth Godin, Jay Abraham, Dr. Ivan Misner, Darren Hardy (SUCCESS Magazine), Jack Canfield, Brian Tracy, Dan Kennedy, Jeffrey Gitomer, Joel Comm, Sally Hogshead, Sharon Lechter and Larry Winget. A highly sought after speaker and agent of change, his live seminars and keynote talks continue to receive rave reviews from meeting planners coast to coast. He’s shared the stage with such business notables as Les Brown, Dan Kennedy, Michael Gerber, Jeffrey Gitomer, and Bob Burg to Olympic gold medalist Dan Jansen, and various celebrities including TV’s John Walsh, Mick Fleetwood, and many others. He’s presented to hundreds of audiences including some of the biggest chambers of commerce in North America, association events in the U.S. and at private events with a price tag of $2500.00+ per attendee. 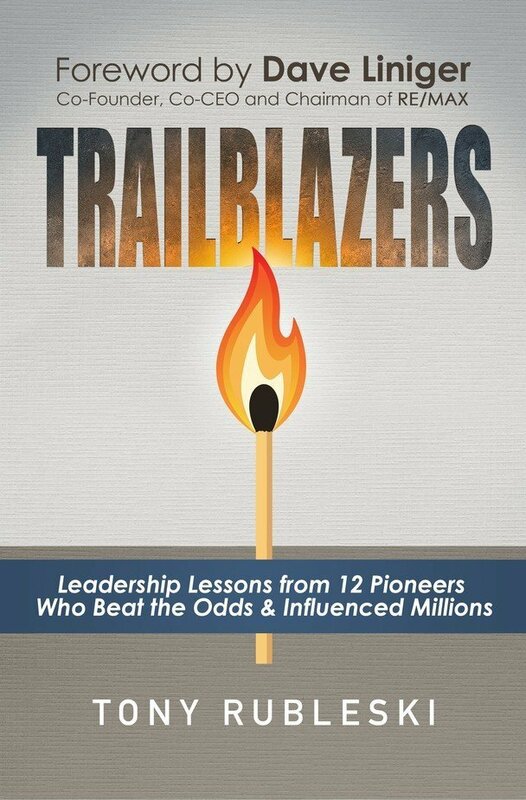 Discover Powerful Leadership Lessons from Ten Trailblazers Who Beat the Odds and influenced millions! Get a chance to eavesdrop in and discover what ten very different, yet highly successful, trailblazers did to achieve massive global success despite setbacks, critics and other unique challenges. The book that started it all. Originally self-published in 2004, Tony’s first book was updated and re-released in 2006 by publisher Morgan James. 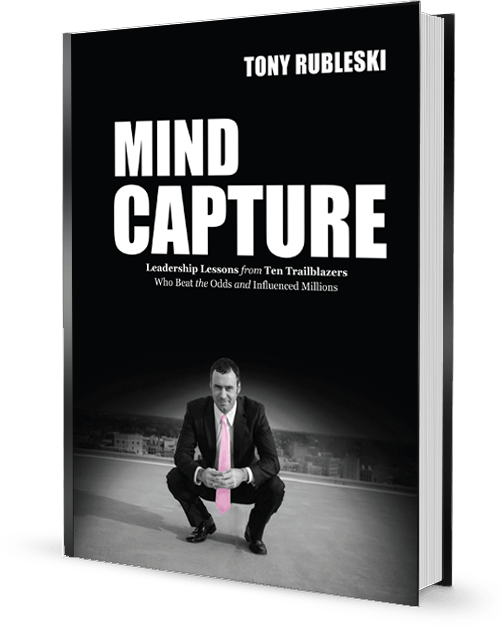 Written by Tony Rubleski with rave reviews from others including Dan Kennedy, Brian Tracy, Ivan Misner (BNI) and many other top sales and marketing minds. “You have the constant challenge to stand out – and to be outstanding. This book will show you how. 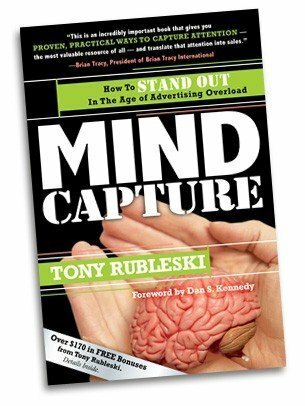 Mind Capture is not meant to be read, it’s meant to be studied, and implemented. -Jeffrey Gitomer, author of The New York Times best sellers The Sales Bible, The Little Red Book of Selling, The Little Black Book of Connections, and The Little Gold Book of YES! Attitude. -Joel Comm, CEO, Joel Comm Inc.